This is where “codemods” come in. Codemods are scripts used to rewrite other scripts. 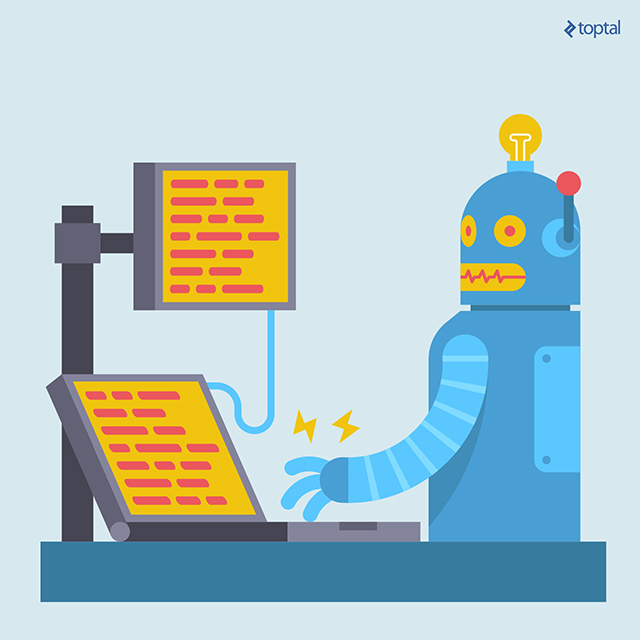 Think of them as a find and replace functionality that can read and write code. You can use them to update source code to fit a team’s coding conventions, make widespread changes when an API is modified, or even auto-fix existing code when your public package makes a breaking change. 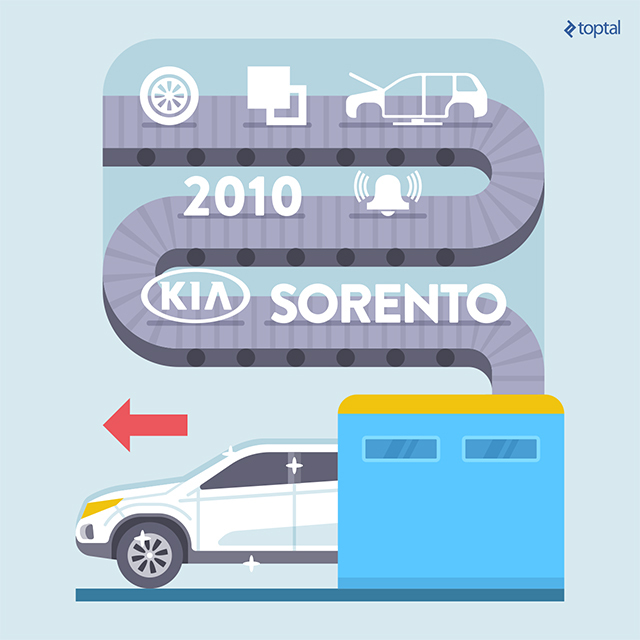 Think of codemods as a scripted find and replace functionality that can read and write code. In this article, we’re going to explore a toolkit for codemods called “jscodeshift” while creating three codemods of increasing complexity. By the end you will have broad exposure to the important aspects of jscodeshift and will be ready to start writing your own codemods. We will go through three exercises that cover some basic, but awesome, uses of codemods, and you can view the source code for these exercises on my github project. The jscodeshift toolkit allows you to pump a bunch of source files through a transform and replace them with what comes out the other end. Inside the transform, you parse the source into an abstract syntax tree (AST), poke around to make your changes, then regenerate the source from the altered AST. The interface that jscodeshift provides is a wrapper around recast and ast-types packages. recasthandles the conversion from source to AST and back while ast-types handles the low-level interaction with the AST nodes. To get started, install jscodeshift globally from npm. This will run input-file.js through the transform some-transform.js and print the results without altering the file. Before jumping in, though, it is important to understand three main object types that the jscodeshift API deals with: nodes, node-paths, and collections. Nodes are the basic building blocks of the AST, often referred to as “AST nodes.” These are what you see when exploring your code with AST Explorer. They are simple objects and do not provide any methods. Collections are groups of zero or more node-paths that the jscodeshift API returns when you query the AST. They have all sorts of useful methods, some of which we will explore. Collections contain node-paths, node-paths contain nodes, and nodes are what the AST is made of. Keep that in mind and it will be easy to understand the jscodeshift query API. It can be tough to keep track of the differences between these objects and their respective API capabilities, so there’s a nifty tool called jscodeshift-helper that logs the object type and provides other key information. 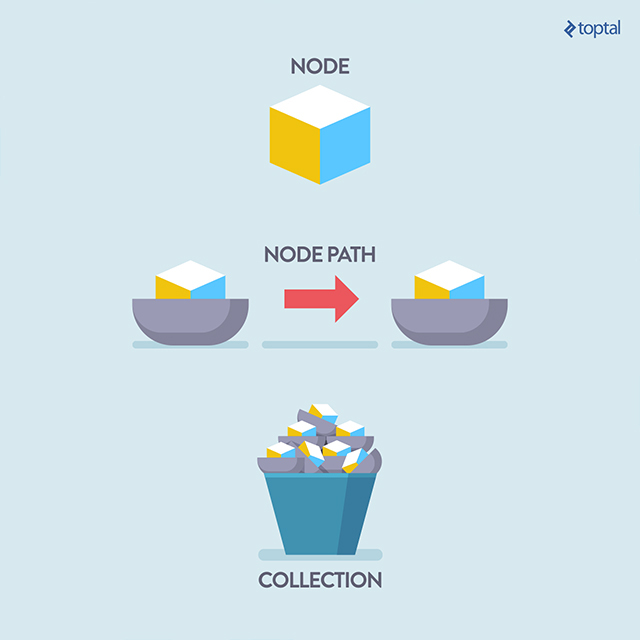 Knowing the difference between nodes, node-paths, and collections is important. To get our feet wet, let’s start with removing calls to all console methods in our code base. While you can do this with find and replace and a little regex, it starts to get tricky with multiline statements, template literals, and more complex calls, so it’s an ideal example to start with. If everything’s set up correctly, when you run it you should see something like this. OK, that was a bit anticlimactic since our transform doesn’t actually do anything yet, but at least we know it’s all working. If it doesn’t run at all, make sure you installed jscodeshift globally. If the command to run the transform is incorrect, you’ll either see an “ERROR Transform file … does not exist” message or “TypeError: path must be a string or Buffer” if the input file cannot be found. If you’ve fat-fingered something, it should be easy to spot with the very descriptive transformation errors. But how do we find the consoles and remove them? Unless you have some exceptional knowledge of the Mozilla Parser API, you’ll probably need a tool to help understand what the AST looks like. For that you can use the AST Explorer. Paste the contents of remove-consoles.input.js into it and you’ll see the AST. There is a lot of data even in the simplest code, so it helps to hide location data and methods. You can toggle the visibility of properties in AST Explorer with the checkboxes above the tree. It looks good. Now that our transform alters the underlying AST, using .toSource() generates a different string from the original. The -p option from our command displays the result, and a tally of dispositions for each file processed is shown at the bottom. Removing the -d option from our command, would replace the content of remove-consoles.input.js with the output from the transform. Much better. To recap exercise 1, we wrapped the source, queried for a collection of node-paths, change the AST, and then regenerated that source. We’ve gotten our feet wet with a pretty simple example and touched on the most important aspects. Now, let’s do something more interesting. 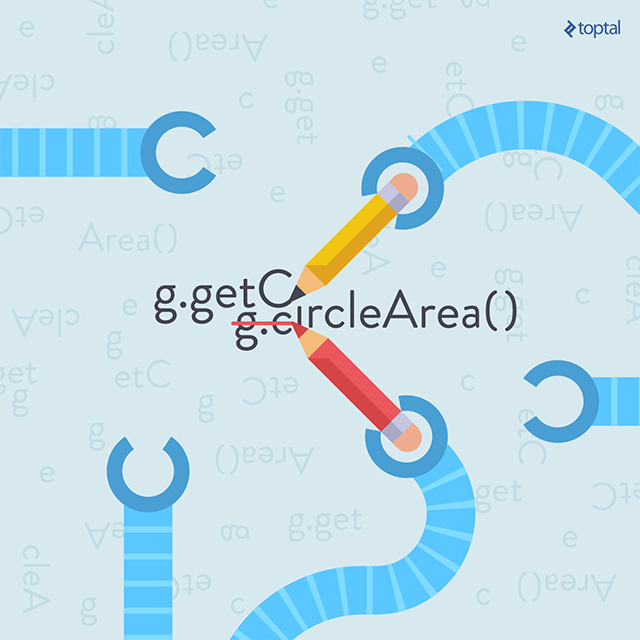 How would we know to replace g.circleArea instead of geometry.circleArea? We certainly cannot assume that all circleArea calls are the ones we’re looking for, we need some context. This is where codemods start showing their value. Let’s start by making two files, deprecated.js and deprecated.input.js. Now run this command to run the codemod. You should see output indicating the transform ran, but has not changed anything yet. We need to know what our geometry module has been imported as. Let’s look at the AST Explorer and figure out what we’re looking for. Our import takes this form. This gets us the ImportDeclaration used to import “geometry”. From there, dig down to find the local name used to hold the imported module. Since this is the first time we’ve done it, let’s point out an important and confusing point when first starting. Note: It’s important to know that root.find() returns a collection of node-paths. From there, the .get(n)method returns the node-path at index n in that collection, and to get the actual node, we use .node. The node is basically what we see in AST Explorer. Remember, the node-path is mostly information about the scope and relationships of the node, not the node itself. Now that we have a query, we can get a collection of all the call sites to our old method and then use the collection’s replaceWith() method to swap them out. The replaceWith() method iterates through the collection, passing each node-path to a callback function. The AST Node is then replaced with whatever Node you return from the callback. Again, understanding the difference between collections, node-paths and nodes is necessary for this to make sense. In the previous exercises we covered querying collections for specific types of nodes, removing nodes, and altering nodes, but what about creating altogether new nodes? That’s what we’ll tackle in this exercise. In this scenario, we’ve got a method signature that’s gotten out of control with individual arguments as the software has grown, and so it has been decided it would be better to accept an object containing those arguments instead. For reading all the arguments currently being passed in, we use thereplaceWith() method on our collection of CallExpressions to swap each of the nodes. The new nodes will replace node.arguments with a new single argument, an object. Change method signatures with 'replacewith()' and swap out entire nodes. Turns out we can’t just jam plain objects into our AST nodes. Instead, we need to use builders to create proper nodes. It took a little time and effort to get to this point, but the benefits are huge when faced with mass refactoring. Distributing groups of files to different processes and running them in parallel is something jscodeshift excels at, allowing you to run complex transformations across a huge codebase in seconds. As you become more proficient with codemods, you’ll start repurposing existing scripts (such as the react-codemod github repository or writing your own for all sorts of tasks, and that will make you, your team, and your package-users more efficient.